Scott Berg and Mike Berg have left Berg Properties to join eXp Realty. Colleen Berg will be the managing broker of Berg Properties. Scott Berg and Mike Berg left the business they founded to form Team Berg. They will focus on growing their business through eXp's growing technology offerings, as well as the tremendous revenue and stock opportunities. eXp is the fastest growing real estate brokerage in the country and has been doubling revenue and agent count in recent years. eXp recently announced that Q3 2018 revenue is expected to grow 231% to $157 million with residential transaction volume is expected to grow 239% to $6.2 Billion. 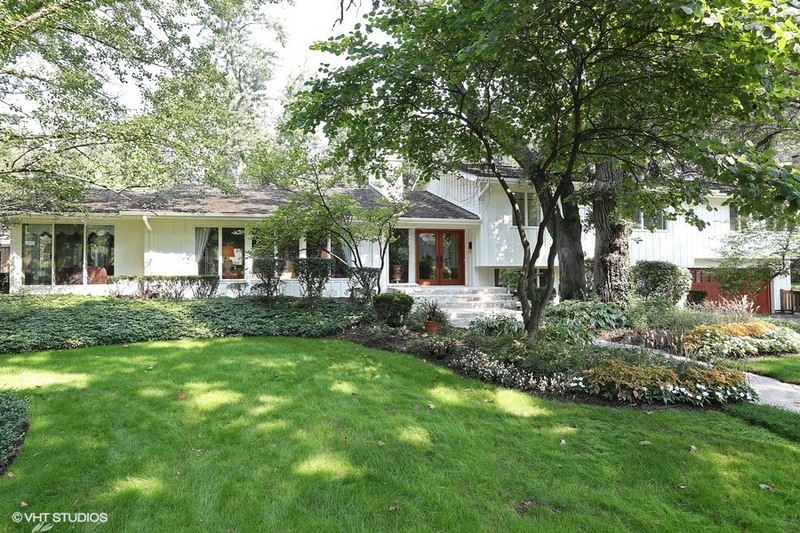 Large, beautiful lot in prime SE Hinsdale, 3/4+acre. $100K+recent upgrades include 3 new bathrms w/high-end finishes w/carrera marble and calacatta borghini vanity tops & calacatta porcelain flrs. Stunning rehabbed chefs kitchen w/prof grd SS appl., a WBFP, heated flrs, and lrg fam/eat-in area.Dramatic MBR suite w/2 lg WIC's, fireplace. Lg rm sizes provide spectacular views of prof. landscaping/lush gardens Must see! Analysis: There are currently 289 Condos for sale in the Chicago neighborhood of Streeterville and there are 155 additional units that have accepted sales contracts. The ratio of homes under contract to those that are available is 54% which I consider a very healthy market. 460 Condos have closed in the last 6 months which represents 50% more units than closed last year during the same 6 month period last year. There is currently 3.77 months of inventory. Good News for Oak Park Real Estate Market! Analysis: There are currently 119 single family homes on the market in Oak Park, IL and 105 homes that have accepted contracts. There is an 88% ratio of homes that are active (for sale) to those that are under contract (have accepted contracts). This ratio points to a strong local real estate market where inventories will continue to shrink. 45 homes are being sold each month in the village and inventories are at a low 2.62 months. This means that if no homes were to come on the market it would take around 2 1/5 months to clear out all of the current inventory. It is a strong sellers market here and home prices will continue to rise as long as these continue to persist. 31% more homes closed in the last 6 months of 2013 versus the same period in 2012. Which again points to an improving market. MLStown.com has once again become an active site for flat fee mls listings. According to Scott Berg, the sites owner, it had been idled years ago based on proposed rules that would eliminate the companies ability to use a url with the term mls in it. Those rules never really took hold but the threat had caused them to develop our BergProperties site. MLStown will be a conduit for all support and information for "for sale by owner" services. Berg Properties has recently exited the states of Minnesota, Missouri, and Texas deciding to focus their efforts in the Chicago Metro Area. "Although we no longer do business outside Illinois we are happy to refer interested customers to the top flat fee brokers that cover other areas" states Berg. Check out our latest video on our flat fee mls listing service in St. Louis Missouri. I cool video to youtube on the Oak Park Real Estate Scene. Our newest youtube video for our flat fee mls service is now available. Looking at Chicago foreclosure listings were down 1% in the last 30 days. Foreclosure listings made up 12.4% of the total number of properties listed in the MLS during the last 30 days. This compares with 13.4% in the the 30 days preceding. Short sales were also down 3% during the same period and stood at 19% of the total listings. Distressed properties made up 31.4% of the total listings. On the sales side, foreclosures made up 18.2% of the total closed sales in the last 30 days and short sales made up another 21%. All in all distressed sales made up 39.2% of total sales up from 34.4% of sales in the preceding 30 day period. Speaking to some of the big time REO brokers I expect that this trend will reverse over the next several months as banks start to let go of more inventory that was help up do to the robo signing scandal. The average list price of Chicago homes for sale is currently strongest at the high end (homes priced above $394,000) and weakest at the low end. The low end homes are most affected by foreclosures and average list prices have dropped 4.1% over the last year. Over the same period however the median closed sales price for low end homes has actually risen. Again this is likely due to forecloses being so aggressively priced that they attract multiple bidders and drive up the end sales price. Median sales prices for high end homes in Chicago has actually risen by 1.7% over the last 12 months. The monthly supply of inventory is way down (>17%) for the higher end homes but still stands at 12 months which represents a seller's market.